The whole point of traveling for me is to be able to bond with my family. But hotels that can truly be called family-friendly with activities for all of us to enjoy together are rare. So when I found an option that is considered the number one Family Resort in the USA, I couldn’t pass on it. Smugglers’ Notch Resort delivered on all it offered and more. We had tons of fun participating in a crazy amount of family activities. e are only a few that can actually be called family resorts. 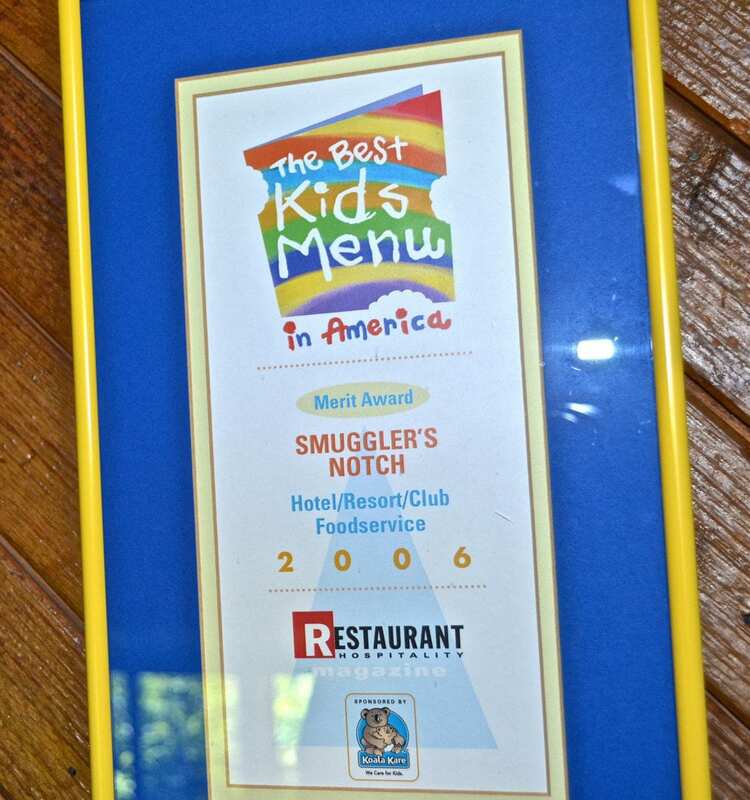 So, when I heard that Smugglers Notch Resort is considered the number one Family Resort in the USA I knew I wanted to visit it. Now that we have visited it and tested what they claim, I can definitely tell you – IT’S TRUE! When you browse through their website you can kind of get the idea of everything that they offer for families within the property or nearby. But even after reading all of that and checking out their photos I wasn’t prepared for ALL there is to do and see here. This is more of a village than a regular resort. It has a main area where you will find the restaurants, information and the ski center during the winter. The resort is spread over acres of land with town houses and condominiums. The staff even refers to specific areas as neighborhoods which I understood after driving around in it. Each ‘neighborhood’ has its own pool area. But the truth is that these are not just pools; some are full-on water parks. Actually, in every area there is a pool. But the water parks are similar to what you would expect when going to a full-on water amusement parks. They have obstacle courses. Huge water slides to go down. A pool area where little kids can run with different mini-attractions and the water is knee deep. This area is more for younger kids. Plus, there is a life guard on every corner of each pool, so parents can feel totally at ease and let the kids go wild. 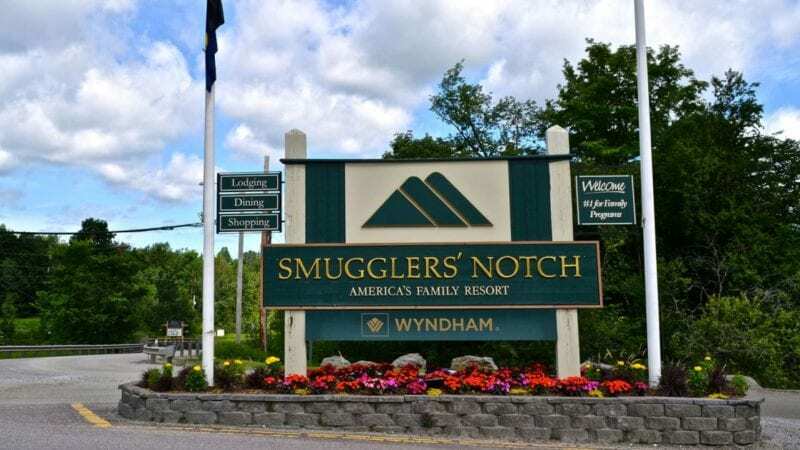 I already knew that Smugglers’ Notch is very popular among travelers who are visiting Vermont, but I learned that locals also love their camps. It has one of the top child care programs in the area. Their daycare offers programs for kids starting from 6-weeks-old to teens and includes a Special Needs Program. This to me is a big deal because there are only a few of resorts out there that offer such programs for children and adults where people in charge are specialists, allowing parents to enjoy their time independently knowing their children are in the best hands possible. The FunZone is new. You can find it inside of the old inner tennis court. 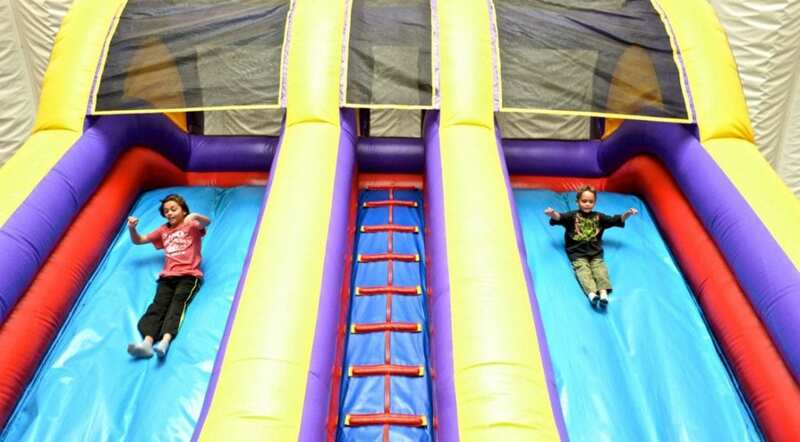 It is exactly what its name says, a fun zone for kids and adults.The FunZone is only open after 2 pm, and it’s included in the day pass, but can be visited alone with the option to just pay for entrance to this kids’ attraction. NOTE: you need socks to go to the FunZone. Anyone wearing shoes or is sporting bare feet will not be allowed entrance. When you visit Vermont you realize that pretty much everything is outdoors, but having structured activities can also make a big difference. Aside from all of their kids programs, they also offer tons of family oriented activities that allow you to explore and play with your kids. The reason why we travel is to be able to bond with each other. Luckily my boys love to spend time with my husband and me and prefer it over going on kids programs. Finding structured family activities that captivate my kids is the best of all worlds. They have a whole directory with all these activities and programs, so make sure you ask about them. I have listed a few of those activities at the bottom of the article. Being one of the top family friendly hotels out there it had to have a selection of kid-friendly restaurants to choose from. Here you can find café-style eateries and full-service restaurants, all with award winning children’s menus. The restaurant we visited for lunch was Morse Mountain Grill. I loved their local styled food options. Staying in one of the houses that the resort offers is the best choice. But you also get the chance to stay somewhere else and get a day pass to be able to enjoy all of their activities. • The Clubhouse: Daily 9:00 am – 9:00 pm – Ping-pong, pool, and video games. • Nature Center: Daily 9:00 am – 4:00 pm – Live animals and plants, hands-on displays, educational exhibits, and loads of nature games and books. • Morse MiningSmuggs Mining Company: Daily 9:00 am – 7:00 pm, weather permitting – A educational and fun mining operation where you’ll shift and shake your panning tray as the water from our sluice box rinses away sediment and reveals nature’s treasures. 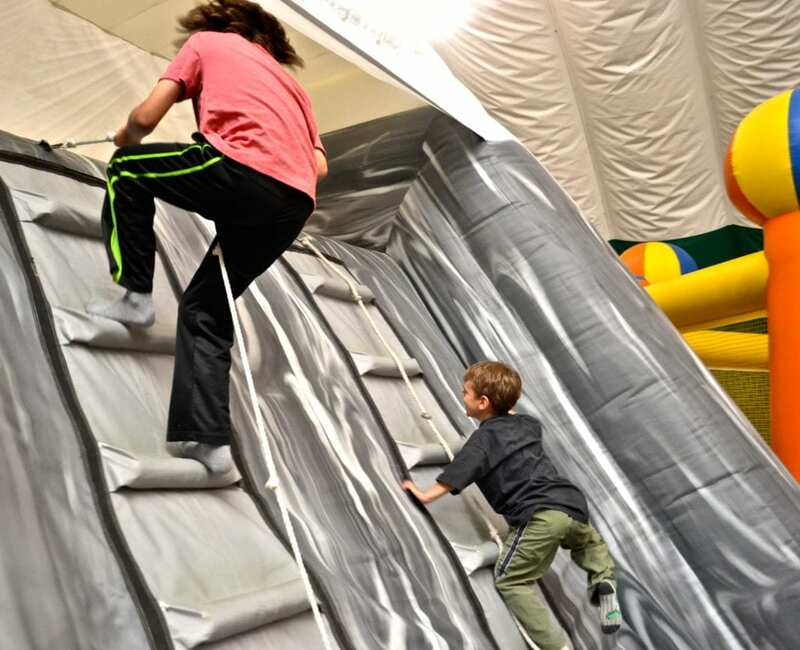 • Smuggs Eurobungy: Sunday – Friday, 4:00 pm – 8:00 pm and Saturday, 12:00 noon – 4:00 pm – A giant trampoline with bungee cords and a harness that helps you fly and do tricks. • Giant Swing: Monday – Thursday 4:00 pm – 8:00 pm, & Saturday 12:00 noon – 4:00 pm – There is a 100-foot swing located at Notchville Park. Included with the Adventure Connection Package. • Survival Basics 101: Tuesday, 1:00 pm – 3:30 pm – A wike into the Smuggs wilderness where you will learn basic survival techniques. • Gold Panning: Wednesday, 3:00 pm – 5:00 pm – Learn how to pan for placer gold with the guides from Green Mountain Gold. • Village Scavenger Hunt: Sunday & Thursday 10:00 am – 11:30 am – A journey around the village following clues. • Bigger is Better… Lifesize Games: Sunday 1:00 pm – 2:30 pm – Check out Sticks & Stones, Giant Tic Tac Toe, Square Peg in a Round Hole, 5-n-2 Puzzle, or the Snappin’ Alligator. • The Friendly Pirate’s Raingutter Regatta: Wednesday 1:00 pm – 2:30 pm – Create your own ship from materials provided by the Activities Crew. See who has the fastest seafarin’ ship to sail down the rain gutters. • The Great Reservoir Adventure: Thursday 10:00 am – 11:30 am – Learn some fun facts from the guides about the local ecosystem, then hike to the Village Reservoir to hopefully see frogs and tadpoles up close. • Ancient Forest Investigation: Thursday 1:00 pm – 3:00 pm – Hike with your guides to a nearby ancient forest. Along the way you will learn about the natural habitat around you and what creatures might call this area home. • Family Creature Feature: Friday 10:00 am – 11:00 am – Their resident professor brings an exotic animal to visit for a unique learning experience.